P﻿﻿﻿﻿et﻿﻿﻿﻿﻿﻿s are the best companions to have around your house. But keeping pets like dogs and cats means that you have to put up with having to clean their hair regularly. Pet hair can be a huge bother in the house, especially to those who have allergies, as it can be dangerous in some cases. Therefore, if you are a pet lover who wants to maintain a clean house, then you have to invest in the right equipment to remove the pet hair from your home. 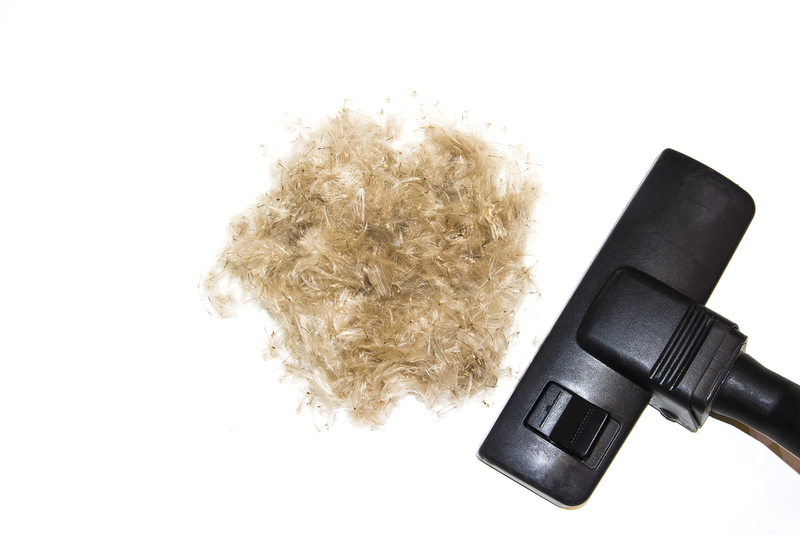 The best tool that you can have is a quality pet hair vacuum that will enable you to remove the hair quickly. However, it is hard to pick just one product and recommend it as the best because it might not be able to meet some specific requirements or might also not fit within your budget. Here we have prepared a review of the best vacuum for pets to make it easy for you to find the most suitable product. 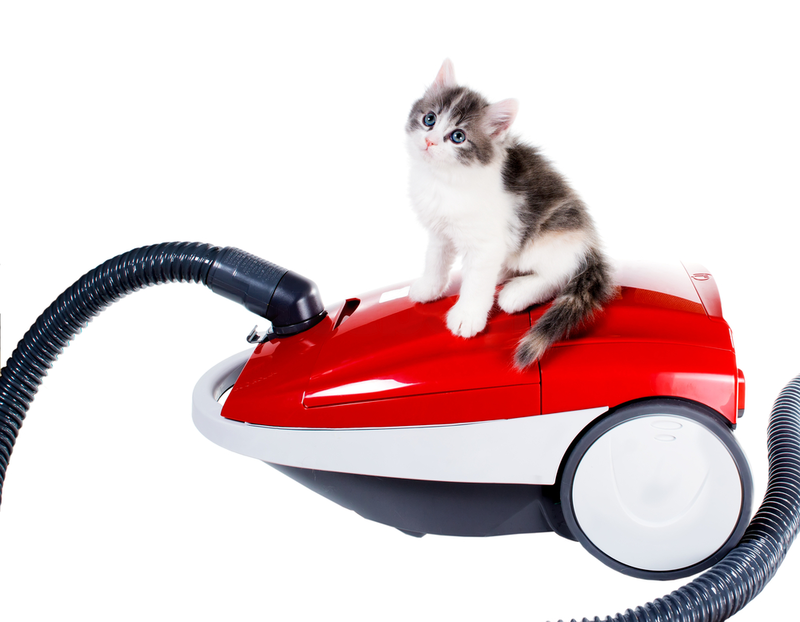 What Should I Consider When Deciding On The Best Pet Hair Vacuum Cleaner? Can I Use A Standard Vacuum Instead Of Buying A Vacuum For Pet Hair? Below, you'll find our more detailed reviews, but you can also click the buttons above to see current prices or read customer reviews on Amazon. Shark Rocket True Pet is our top pick as it combines great design with its unique features, making it a quality product. Besides, it is a corded vacuum cleaner and provides an excellent power of a full upright vacuum in a tiny package. The product converts into a handheld vacuum cleaner and is ideal for those who have limited space to store larger pet vacuum cleaners. The vacuum cleaner consists of a mini motorised brush that is ideal for picking pet hair. Moreover, it is built with an advanced swivel steering that enhances its manoeuvrability under and around the furniture. This makes the process of cleaning the hair efficient and ensures that you can reach even confined places like under the furniture. Finally, Shark Rocket Tru Pet comes with a one-touch control allowing you to switch between hard floor and carpet cleaning modes. This is another quality vacuum cleaner, which has undergone several product checks during manufacturing to ensure that it delivers a great performance. Shark Rotator NV 752 is one of the best products, but it comes second on this list as it is relatively expensive. The vacuum cleaner features a canister that detaches to allow for deep cleaning on hard to reach areas. It still delivers great power that makes it ideal for handling pet hair. The vacuum cleaner is designed with TruePet Motorized Brush and multi Tool. This makes the product the ultimate cleaner for pet hair for all surfaces. Shark Rotator NV752 has Fingertip Controls, which allows you to switch on or off and easily switch from carpet mode to hard floor mode. Finally, the vacuum cleaner features complete seal technology anti-allergenic and HEPA filter that helps in trapping dust and allergens. This ensures your home is free of allergens and therefore makes it safe for those who suffer from allergies. Shark Rotator NV 501 is one of the most affordable products among the top pet hair vacuum cleaners. The product is versatile and powerful and features an upright mode, which allows for more natural cleaning. Besides, the vacuum cleaner has swivel steering for easier manoeuvrability and a large duct cup to trap dirt. The product comes with a Lift-Away Mode, which offers the lightweight advantage making the cleaner conveniently portable for quick cleaning. This allows Shark Rotator to reach areas that would be hard to access. Moreover, it is designed with Above-Floor Mode that enables you to extend your reach to the ceiling, crevice and the corners. Finally, Shark Rotator is designed with LED Lights that allow you to clean even the dark places. Besides, the vacuum cleaner has a dusting brush that traps and removes pet hair from delicate fabrics, curtains, and upholstery. Dyson V8 is the best vacuum cleaner and a top upgrade for those who want to change from other cleaners in search of quality. The vacuum cleaner is cord-free and has the most powerful suction. Besides, Dyson V8 is designed with HEPA unique filtration that helps in trapping allergens and expelling clean air to clear the pet’s odour. Just like other Dyson products, v8 vacuum cleaner converts to a handheld for spot cleaning and quick clean ups as well as cleaning hard to reach areas. The V8 is designed with a convenient docking station, which charges and stores your machine and its accessories when it is not in use. Besides, it is also built with a Mini motorised tool that allows it to perform tasks and stiff nylon bristles that are ideal in removing pet hair from furniture, tight places, and car sights. It is, however, ideal for those who are not on a tight budget as it is relatively expensive, as compared to other quality products. Miele Complete C2 Limited Edition is the best lightweight cleaner among the top quality vacuum cleaners. This is a bagless and an upright model that is also less expensive as compared to other product in its class. The vacuum cleaner comes with turbo-brush that tackles pet hair easily and the Active Airclean filter that helps in absorbing pet odours. This turbo brush combines rug and floor combination. In addition, the product features a six-stage rotary dial that makes easy for you to select the right power setting for quick cleaning. The vacuum cleaner comes with an integrated tool storage for storing a full range of accessories. These include crevice nozzles, upholstery nozzle and dusting brush. Finally, Miele C2 Limited Edition comes with 3D Efficiency HyClean Dustbag, which helps to hold additional amounts of dust and debris in comparison to Hyclean bags from other products. Choosing the right product that suits your needs can be very confusing owing to many vacuum cleaners available in the market. However, you should evaluate specific factors to ensure that you settle for the right product to buy. Here are some of the critical factors that you need to consider when deciding on the best vacuum for pets. Different types of vacuum cleaners for pet hair are available in the market today. These include canister vacuums, upright vacuums and combined vacuums. Therefore, before going to the market to purchase the right one, you have to know them and understand the difference between the two types. So, what are the differences? Canisters Vacuums refers to those cleaners that are designed with a wheeled body that is usually pulled behind the user. This type is more flexible as it provides greater manoeuvrability as the long hose allows a user to reach even the hard to reach places for cleaning. However, some of the negatives about this type of vacuum cleaners are having to pull the canister around while banging into the furniture and walls as you have less control over it. On the other hand, upright vacuum cleaners refer to the type that combines the suction head and canister in one device. Upright vacuum cleaners are easy to store due to their compactness. However, the most expensive models usually include a telescoping hose that enables you to reach under furniture for a thorough cleaning. Finally, it is essential to understand that the type does not determine the performance and the cleaning action of the vacuum cleaner but the model that you choose. Therefore, what you want is all about your personal preference. The other confusing thing when deciding on the best vacuum cleaner is whether to choose a vacuum with a bag or the one without a bag. A vacuum with a bag will require you to buy a package of bags as it keeps the dust and dirt inside. However, bagless vacuum cleaners will save you the expenses of purchasing bags for the cleaner. Bagless vacuum cleaners make it easy for you to retrieve valuable things that the cleaner might be picking up with pet hair like the earrings. The other important thing to consider when settling for the right vacuum cleaner is the suction power. However, determining it is not easy, as it does not depend on the amperage or voltage, as many users tend to think. The voltage does not affect the efficiency of the vacuum cleaner. Therefore, when buying the right vacuum cleaner, you should focus on the suction capabilities as well as other features that enhance cleaning. These differ depending on the manufacturers. With the pet odour, allergic reactions that come with pet hair, it is essential to choose vacuum cleaners that have the HEPA feature. It helps in removing air particles, which ensures that your home is free of allergens. Most modern vacuum cleaners come with this feature but require replacement on a regular basis as set by the manufacturer. Moreover, it is also crucial to consider the mode of attachment of the HEPA to ensure a smooth cleaning operation. These tools are there to attach to the vacuum hose to enhance cleaning by allowing you to reach into the corners and crevices to remove pet hair. Therefore, it is essential to consider the tools and the attachments that come with vacuum for pet hair as it helps in improving the performance of the device. The other useful accessory that you should consider is a brush tool and a rotating brush, which works for cleaning any surface. However, when it comes to pet hair, it is essential to check the usage of material to make the pet hair removal attachments. Finally, it is vital to consider the areas that you will be cleaning when buying a new vacuum cleaner. This allows you to buy the right product that can handle your tasks. 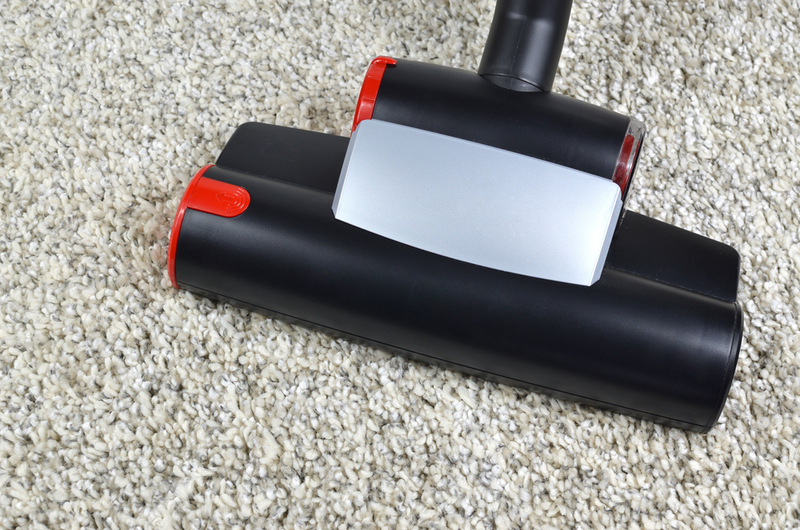 For instance, light and less powerful vacuums are ideal for light applications like cleaning sofas or your car. On the other hand, robust vacuum cleaners with excellent suction power helps in handling heavy applications like cleaning the entire house. Choosing the best vacuum for pet hair is not an easy task to any homeowner, but with evaluation of these factors, you may find this process easy and end up getting the right cleaner. Most homeowners try to use a standard vacuum cleaner in removing pet hair as a way of cutting on expenses. However, they all end up being a disappointment. No matter how well standard vacuum works in cleaning your home, it can’t stand the test of removing pet hair. Conventional vacuum cleaners work well on dust and debris as they come with two-part brush and a hose mechanism. This design stirs up the dirt for it to be sucked by the hose. On the other hand, when it comes to pet hair, the brush cannot stir up and lift it. Instead drives it further into the furniture or the carpet. Moreover, the pet hair might also tangle around the brush head making it hard for you to remove it. Therefore, it is essential to invest in an exclusive pet vacuum cleaner. It helps you maintain a clean home that is free of allergens and pet odour. These pet vacuums come with silicon brushes with custom attachments and unique designs. These features help in ensuring that hair doesn't tangle around the brush but are sucked up instead. Finally, the vacuum for pets usually have a more powerful suction and the best filtration system. With all their unique features it makes cleaning easy. The powerful suction and the filtration system help in removing dander from the expelled air. Any homeowner can testify that the process of settling on the right vacuum for pet hair is a challenging task. However, the article provides enough knowledge to help you choose the best vacuum for pets that suits your requirements and personal preferences. Shark Rotator HV320UKT is our top pick for the best vacuum cleaner for pet hair. It’s one of the best in its class due to its unique features and great design that ensures optimal performance. Hi, I’m Lucy Sheppard. I love pets, especially dogs. My love for these true friends of humans turned into a passion. This passion led me to start this pets website so that people like me can benefit from my study and research.